A strategic network of filling stations should be established across the Highlands, the area's local authority has said. Highland Council said this would ensure petrol and diesel were available to rural communities and tourists in remoter parts of the region. Councillors and officers have said government funding would be needed to help keep the stations in business. The council is to lobby government and political parties on the matter. Senior councillor Ian Ross said: "As well as lobbying the UK and Scottish governments we want to explore innovative solutions such as the introduction of electric and hydrogen vehicles as a pilot in local communities. "Another area we want to explore is the potential of working with communities and other partners to support a strategic network of petrol stations through community ownership and the introduction of technology to allow for petrol stations to be automated." Council leader Michael Foxley added: "We must also work with Highlands and Islands Enterprise and the Scottish government to ensure capital and revenue funds are available for a defined strategic network of filling stations. "Otherwise locals will be disadvantaged and tourists will be unable to visit the remoter areas of the Highlands." In 2009, a report commissioned by Highland Council suggested about half of the rural filling stations in the north of Scotland and the islands could close within 10 years. The survey said as many as 114 of the area's network of 231 petrol stations could shut across the Highlands, islands, Moray and Argyll. 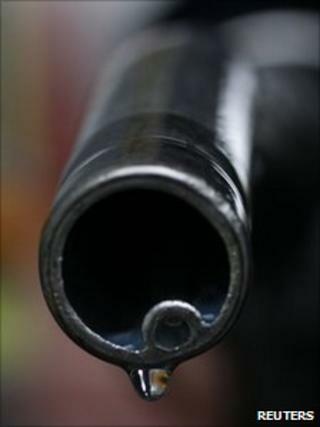 The worst affected area was said to be Orkney, where 17 of the 28 filling stations were described as at risk. Consultants Experian Catalist, who carried out the survey, said the closure risks were due mostly to low profitability.